SuretyGroup.com writes all surety bonds for motor vehicle dealers. If you live in Illinois and sell five motor vehicles or more in a year, then you must be licensed as a Designated Agent. A part of licensing a motor vehicle dealership in Illinois includes obtaining a surety bond. Surety bond amounts in Illinois have recently risen from $20,000 to $50,000 for each location. New car dealers are exempt from the bond requirement after three years. Premiums continue to last for a one-year term and expire on December 31 of each year. The premium amount a dealership pays depends on business and personal financials and credit. Now is the time to check your surety bond rates before renewing for 2018. SuretyGroup.com is ready to help you save money with a free, no-obligation quote. 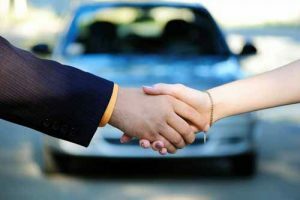 We are licensed to write all Motor Vehicle Dealer surety bonds in Illinois, including surety bonds for new and used vehicle dealers, motorcycle dealers, and trailer or mobile home dealers. To get your free quote, contact our Surety Bond Specialists at 1‑844‑432‑6637, or email info@suretygroup.com and we’ll shop your bond for a better rate, at no obligation to you.